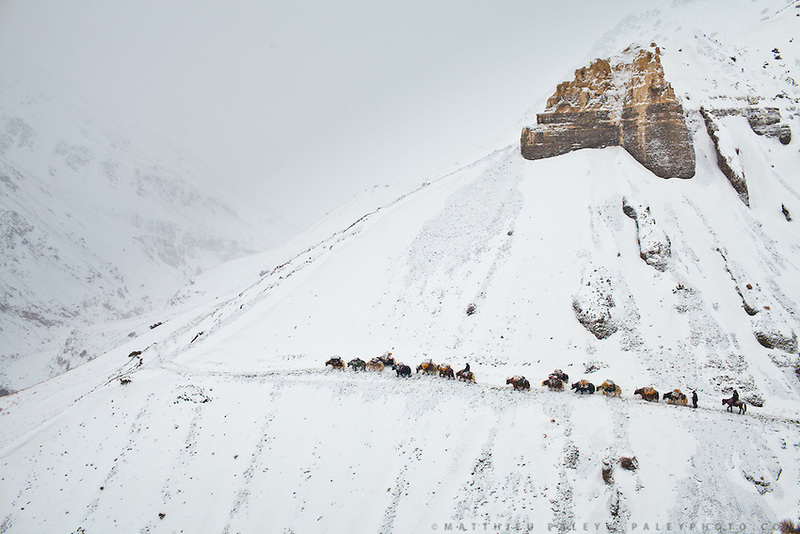 High above tree line, a winter caravan of traders relies on their sure-footed yaks to traverse a high pass - the only way up and down from the Afghan Pamir. Never a large tribe, Kyrgyz nomads roamed central Asia for centuries and were infamous for raiding caravans along the Silk Route...From Zan Kuk to Zardibar ("yellow door"). ..Trekking back down from the Little Pamir, with yak caravan, over the frozen Wakhan river.